Rent villas and apartments in La Mata, Spain with swimming pools. Book affordable holiday rentals that are near a beach and golf course. This tastefully furnished holiday terraced house is the basis for your relaxing family holiday! The house with a living area of 64m² on 3 floors consists of 2 bedrooms and 2 bathrooms. This holiday apartment on the 3rd floor is in a prime location of Torrelamata, just 2 minutes from the beach. Though it is a little traditional. 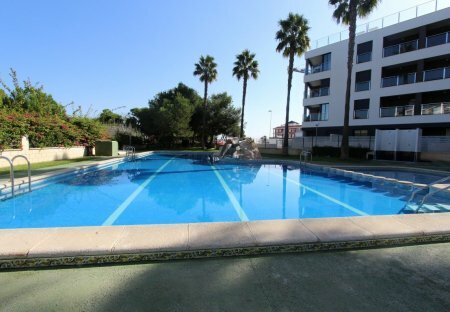 This 2 bedroom apartment with swimming pool is located in La Mata and sleeps 5 people. The apartment is within walking distance of a beach. Beautiful and simple apartment in La Mata, Torrevieja, Costa Blanca, with a capacity for 4 people and the possibility of 1 additional person in the living room. This holiday apartment is spread over 3 floors and is located only 250m from the beach of La Mata near Torrevieja. This beach holiday apartment, has a fantastic view from the balcony overlooking the Mediterranean Sea where you can have a lovely breakfast. During summer. In a private urbanization with 2 communal pools, a well-kept garden and only 400 m from the fantastic sandy beach. This 2 bedroom apartment with swimming pool is located in is located in La Mata and sleeps 3 people. It has air conditioning. The apartment is near golf. Holiday studio on the first floor with a lift. On the beautiful beach of La Mata you can take advantage of the good weather. 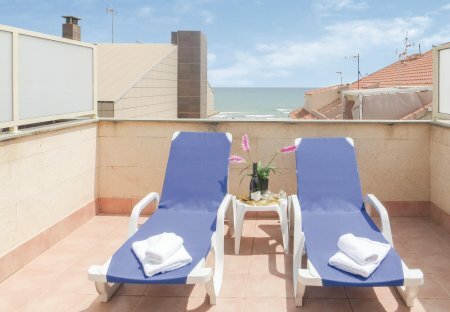 Beautiful and cosy holiday apartment in La Mata (Costa Blanca) right on the beachfront. From this apartment. Apartment just 1 minute walk from the beach. This 2 bedroom apartment with shared pool is located in La Mata and sleeps 5 people. It has WiFi and air conditioning. This 1 bedroom apartment with shared pool is located in La Mata and sleeps 5 people. It has WiFi, parking nearby and air conditioning. This 1 bedroom apartment with shared pool is located in La Mata and sleeps 4 people. It has WiFi. This 1 bedroom apartment with shared pool is located in La Mata and sleeps 4 people. It has garage, parking nearby and air conditioning. This 1 bedroom apartment with shared pool is located in La Mata and sleeps 4 people.